At Up North Plastics, Inc., a subsidiary of Poly-America, we manufacture the highest quality silage bags, grain bags, and bunker covers. We are located in Cottage Grove, Minnesota. Through continuous research and development, we keep our products and our customers up-to-date with the latest innovations in the marketplace. Our plant utilizes the latest, state-of-the-art manufacturing equipment to ensure a consistent level of quality on a continuous basis. During Production - An extensively trained quality control team performs continuous testing to ensure that industry standards are met. After Production - Additional testing is done on production samples in our in-house laboratory before products are released for shipment. Product improvement is an on-going process on test farms and sites throughout the U.S. This allows us to progress with today’s high-tech industry demands. We have an international distribution network with equipment and personnel to meet the needs of our customers. Our support staff is always on call to address your questions and comments about our products and services. Grain producers today have more flexibility than ever when it comes to added storage capabilities. The ever-increasing value of grains requires that producers protect their crops using the highest quality products available. Our engineers at Up North Plastics designed a stronger bag that can withstand the added stress dry grain can put on a bag. Grain producers are learning what beef and dairy producers have known for years: Up North Plastics is the leader in quality, service and value. From utilizing packing tractors and gravel bags to improved face management and feed out techniques, bunker and silage pile management has come a long way in the past decade. 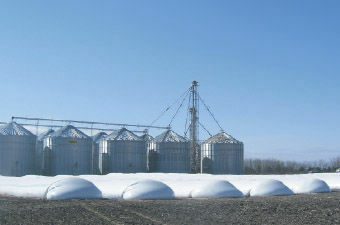 Along with these improvements, feed managers are realizing the best way to reduce spoilage is by using multi-layer covering techniques. 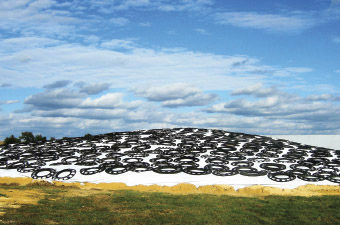 The combination of our 2 mil Silage Shield™ covered by our 5 mil black and white bunker covers ensures an airtight seal with quality products that producers have come to rely on for the best protection of their valuable feedstuffs. 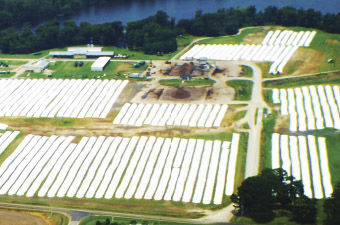 Up North Plastics is your partner in quality feed storage. Top producers know that the best way to preserve the quality of high-value forages is to store their feed in Up North silage bags. With the ever- increasing value of feedstuffs, why risk using anything but the strongest, most reliable, time-tested bag on the market? Match that with our outstanding service record, and you have a combination that is unrivaled in the industry. Trust the protection of your feed to Up North Plastics. We're your partner in quality feed storage. Our bags have considerably more puncture and tear resistance than our foreign competitors’ products. Our network of distributors and dealers is unparalleled in the industry, which ensures your buying experience will be a good one. Our fleet of 300+ semi trucks ensures that you get your bags when and where you need them. Select a language to view all available positions.